The Four Mandala Offering to Cittamani Tara is a ritual to celebrate the meditational deity Tara. On the 8th day of the month of the lunar calendar, we make offerings to Tara and request that she come to our swift aid to remove obstacles from our lives and to protect us from fear. These offerings usually consist of bounties of fruit, vegetables, candies, and cakes, and water, which represent the hospitality given to a guest upon entering an Indian home. Traditionally, four mandalas are given, which symbolize offering the entire universe to the meditational deity. 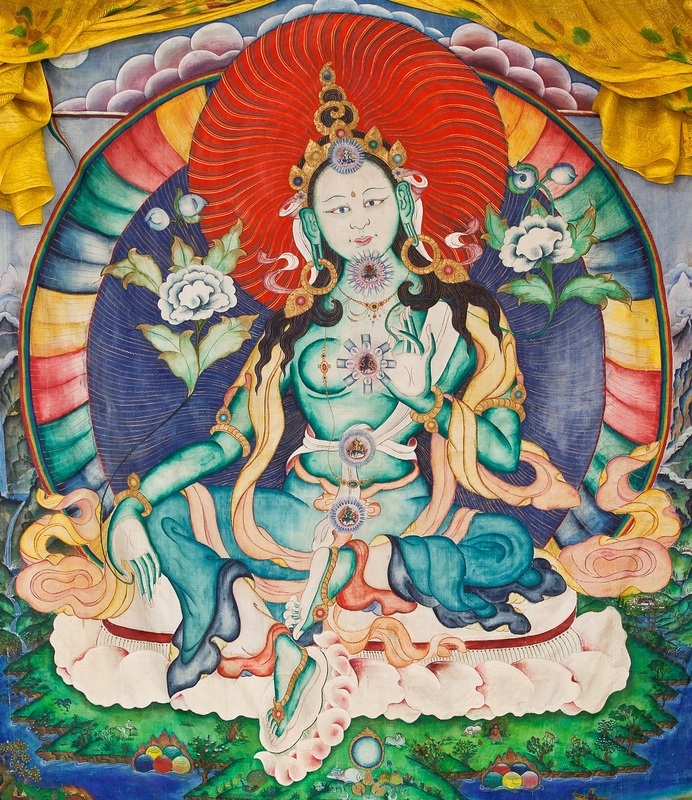 In this particular manifestation, we praise the Jewel (or Treasure) Mind of Tara, Cittamani. You can dedicate the puja to friends, relatives, the sick, or for the success of particular projects. Everyone is welcome. Please arrive 10 minutes early if you plan on bringing an offering.